How should development actors deal with private security companies? 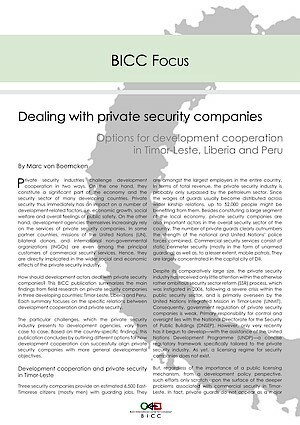 This BICC publication summarizes the main findings from field research led by Marc von Boemcken on private security companies in three developing countries: Timor-Leste, Liberia and Peru. Each summary focuses on the specific relations between development cooperation and private security.